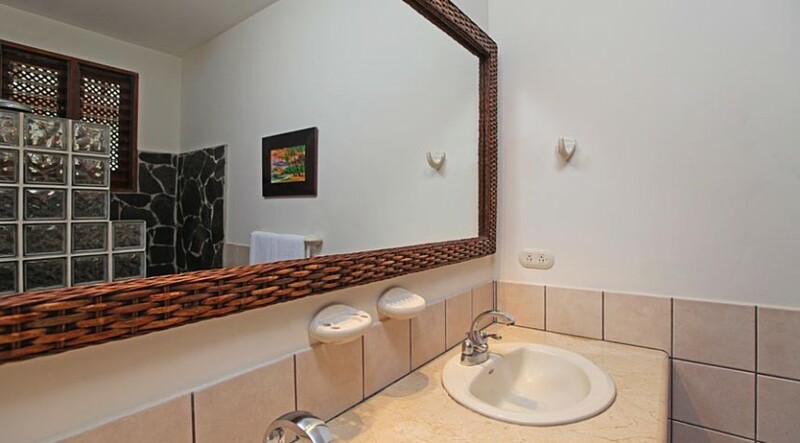 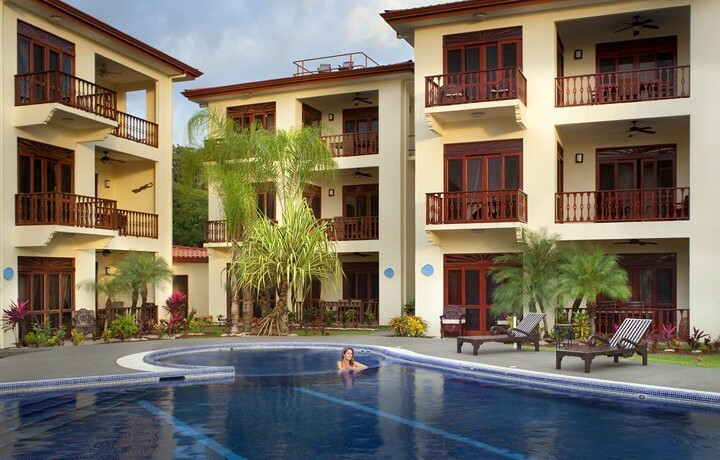 This charming 2-Bedroom 2-Bathroom condo for sale sits right on Jaco Beach, Costa Rica in the quaint and tropical community of Bahia Azul. 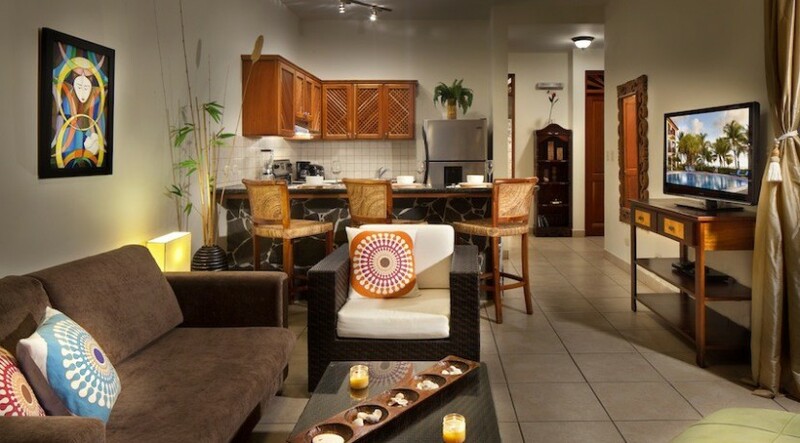 Measuring 1,200 sq ft, this warm and welcoming home is only a short 5 minute walk from the heart of Jaco, an inviting and laid-back, beachtown. 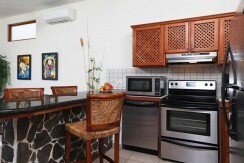 The kitchen of this Jaco condo features stainless steel appliances as well as a breakfast bar. 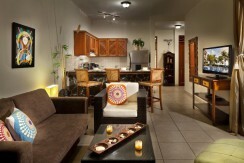 The open concept design of this home allows the kitchen to flow into the living room. 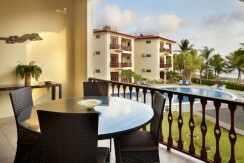 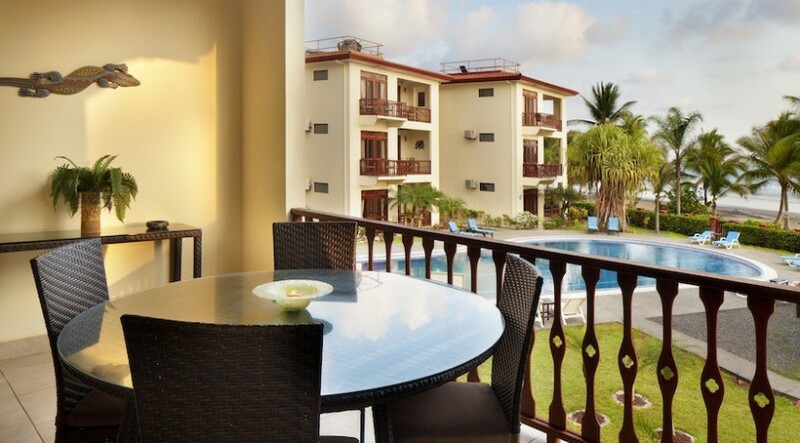 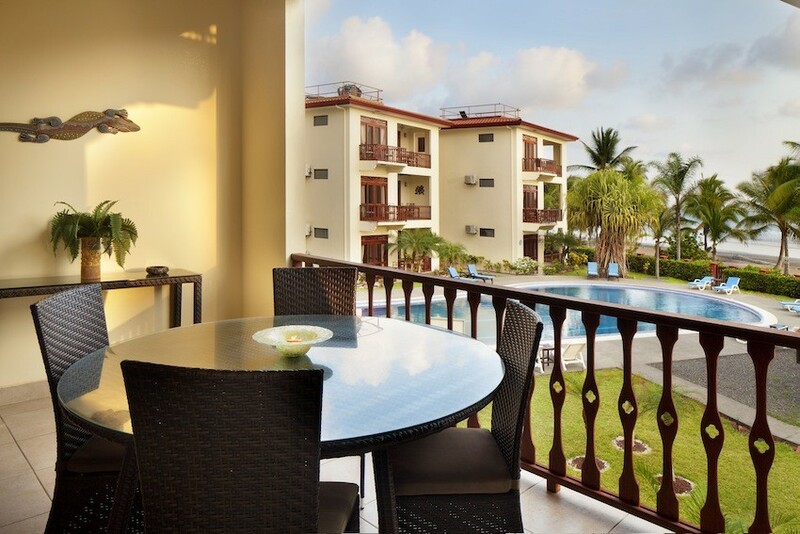 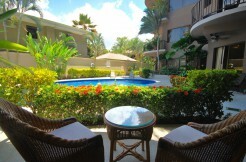 The main dining area is located on the balcony that overlooks the private community’s pool and the ocean! 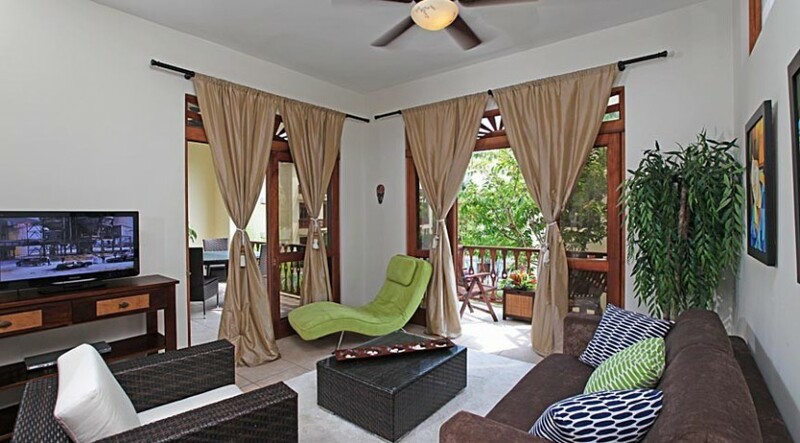 A second balcony provides another outdoor living area, perfect for lounging with a good book! Outdoor Living Space with Tropical Ocean Views! 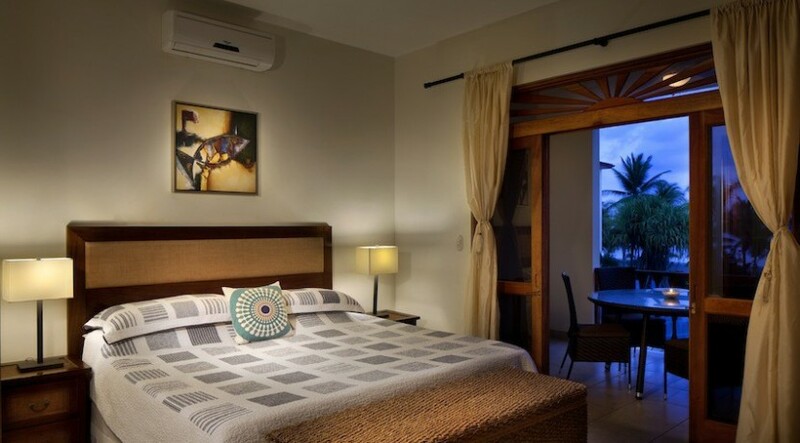 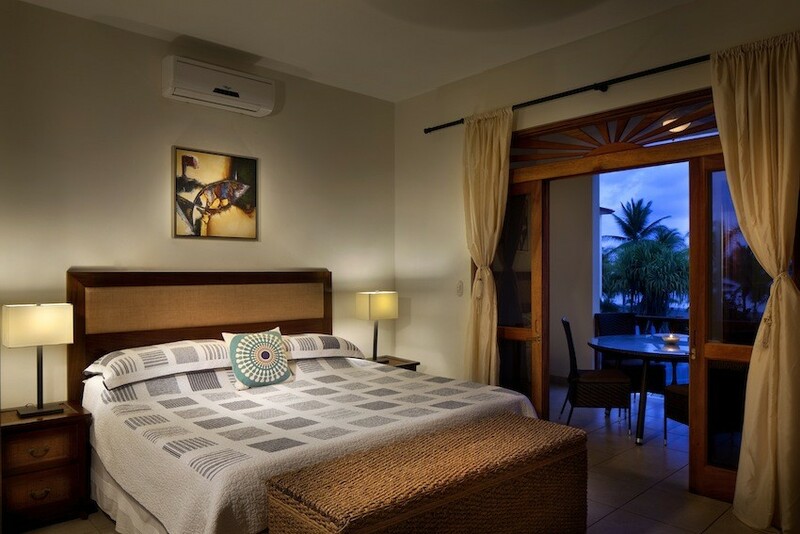 The Master suite also opens up onto this balcony, and the ocean can be seen from bed! 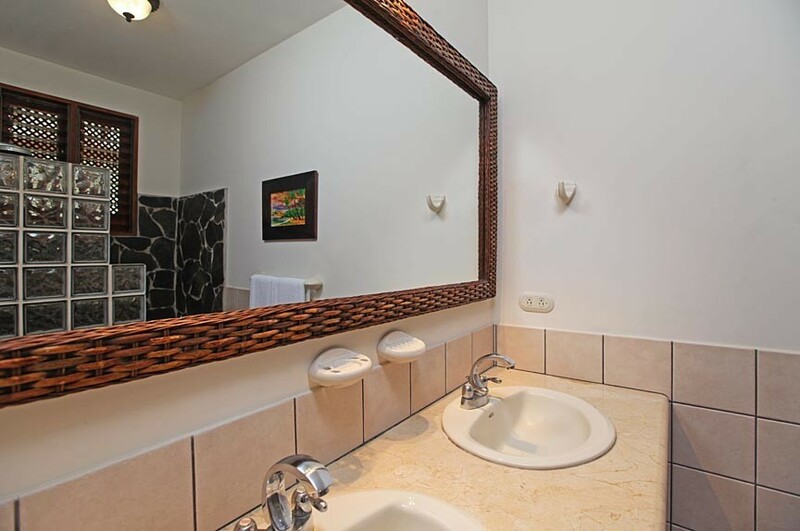 The Master ensuite boasts excellent double sinks and a spacious shower.The second bedroom features two beds and large windows that allow for tons of natural light. 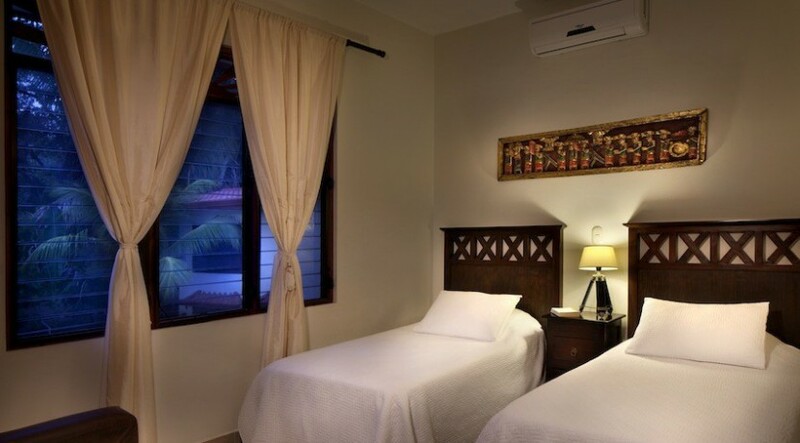 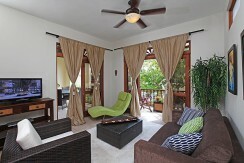 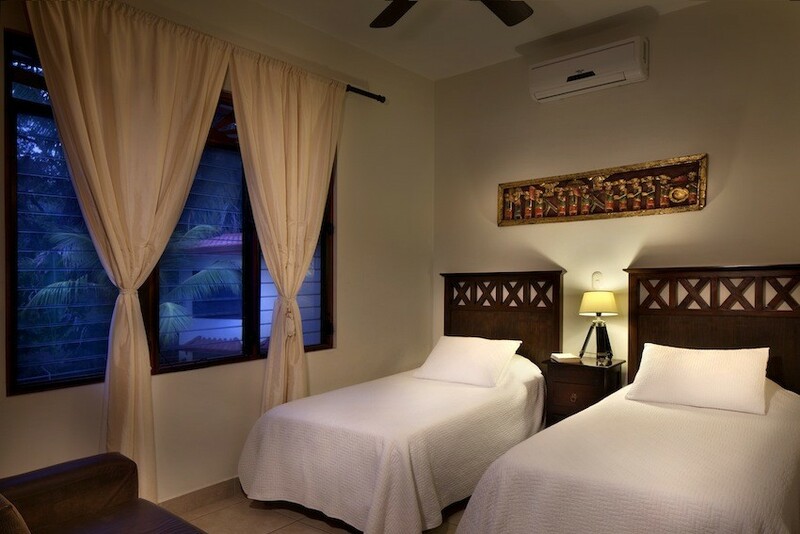 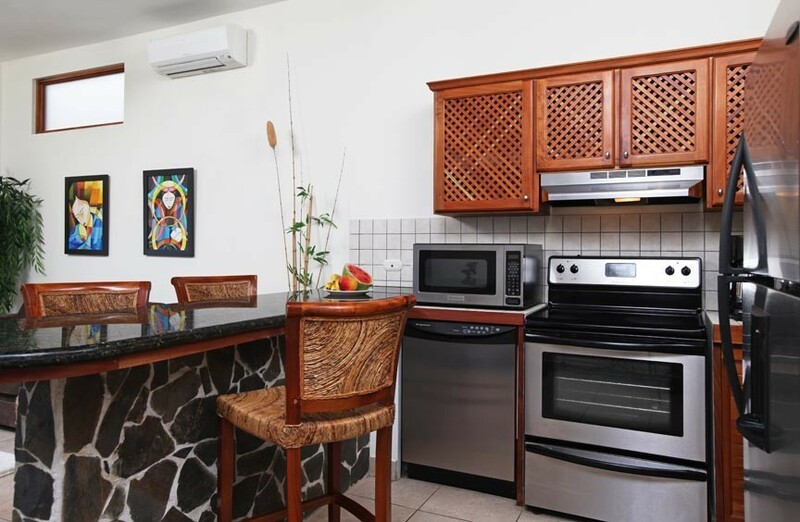 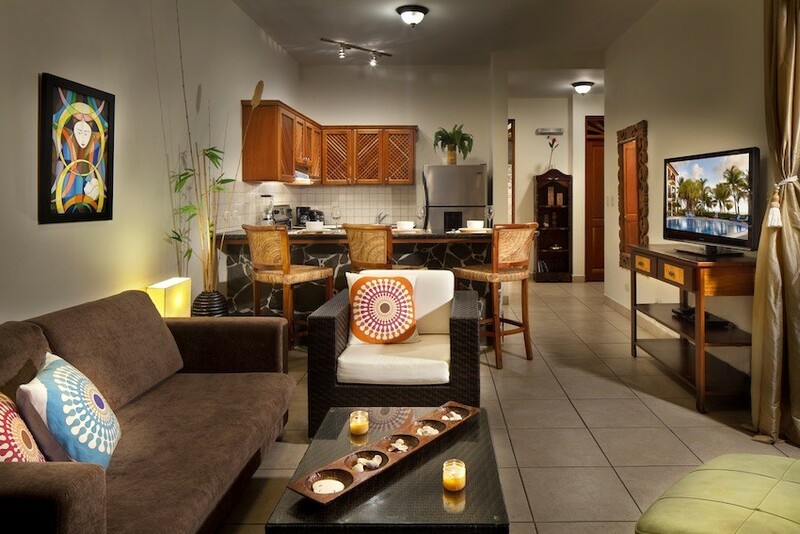 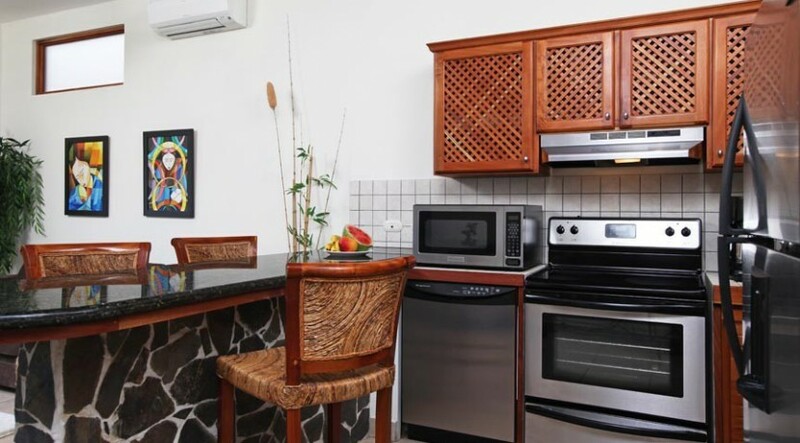 The whole condo is furnished with modern yet tropical furnishings. 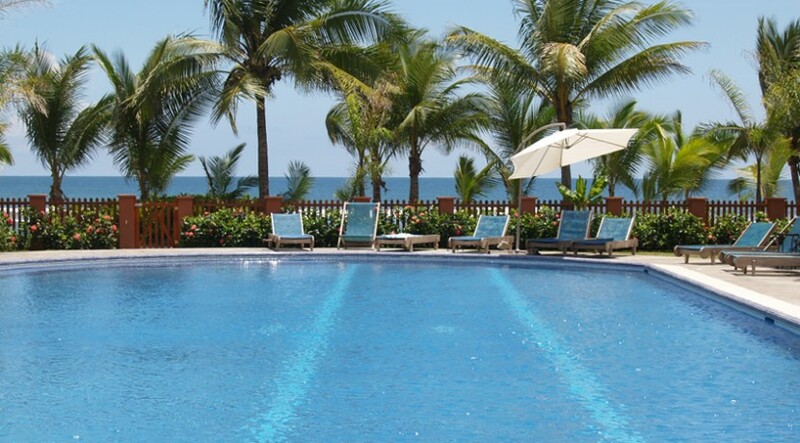 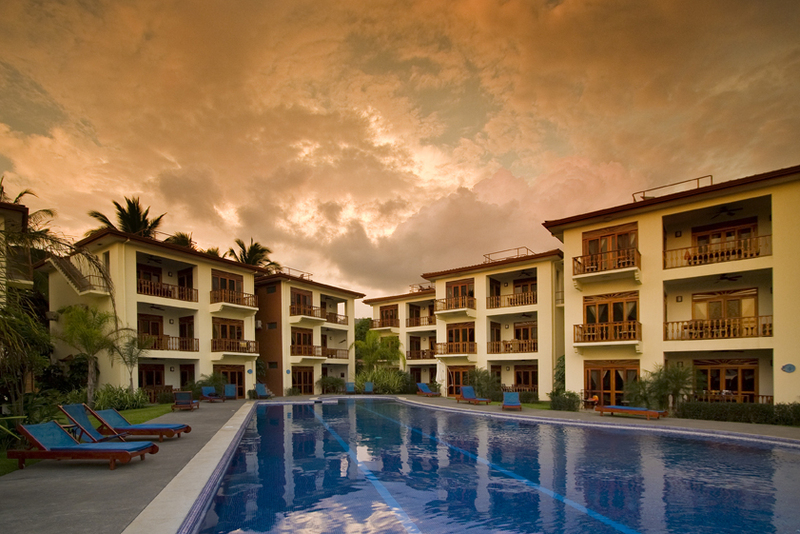 Owners of this amazing beachfront condo can enjoy the refreshing free form swimming pool or even the Pacific ocean on warm Costa Rican days. 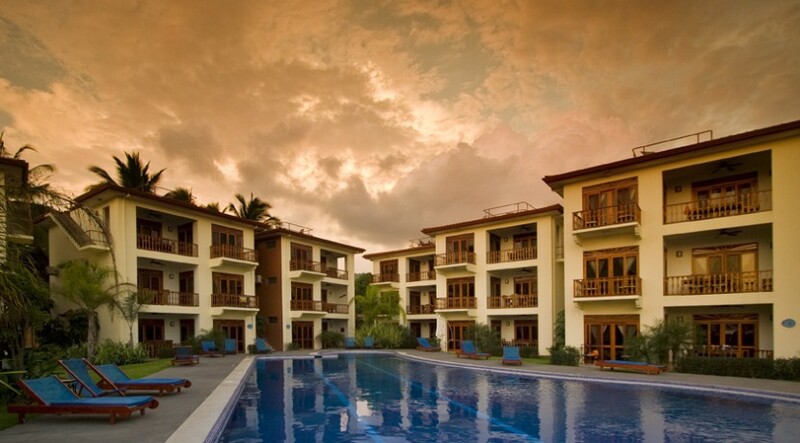 Count on incredible sunsets throughout your time in Costa Rica, which can be seen from your balcony or just steps from your door on the cinnamon sand beach. 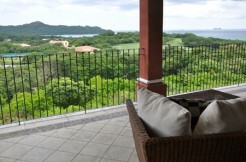 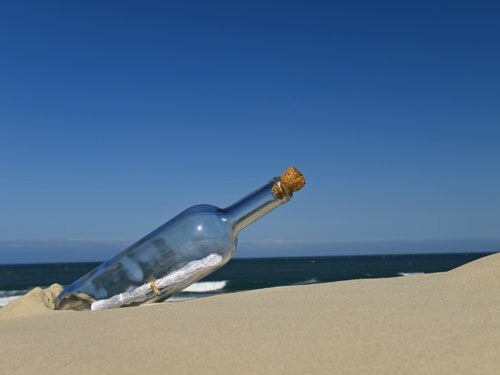 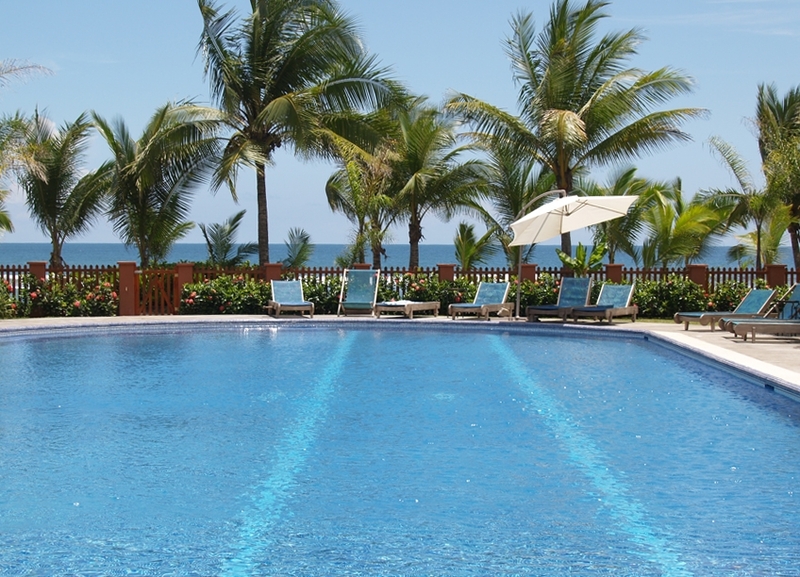 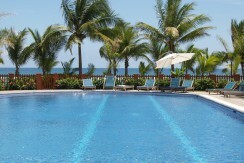 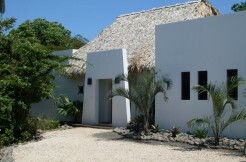 Please contact us for more information on this amazing Jaco Beach real estate!